Welcome to earnings season! While bulls managed to put together another strong week in the market, all eyes are looking ahead to the quarterly numbers that started to roll in Friday. So as usual, let’s recap some of the bigger picture trends in price action, and then drill down into individual charts and trade ideas. Because the good news is, there are plenty of individual charts that are looking good right now. So let’s get started! 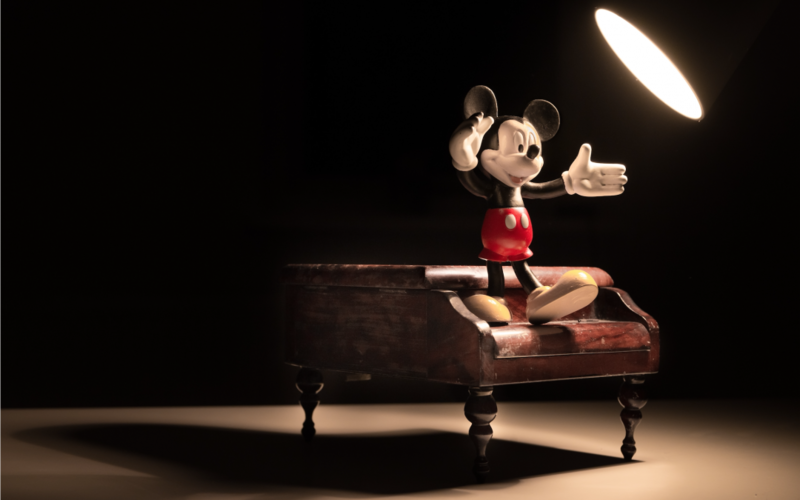 First then, I want to recap some of the broader market conditions because as the second quarter of 2019 starts to unfold, it looks like bulls remain in the driver’s seat. This longer-term weekly chart really helps illustrate just how intense the fall and subsequent rebound have been over the last 6 months. 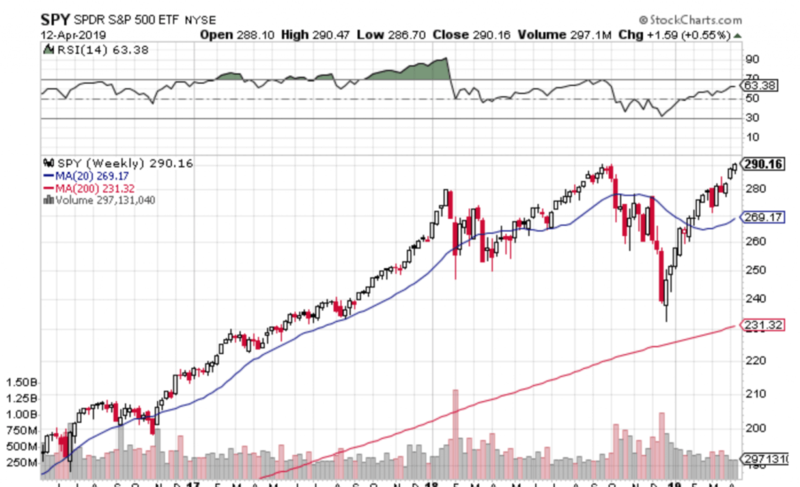 And now, the question becomes whether this month’s rally can continue throughout the second quarter of 2019. The good news is, with earnings season now upon us we should get some resolution pretty soon. Plus, I think it’s reasonable to expect a lot of good news just got priced in with this impressive year-to-date bounce. So it’ll be interesting to see if these higher expectations can be met. As you may have noticed, financial stocks have been conspicuously lagging the rest of the market this year. So any continued upside here could be a big benefit for bulls overall and another piece of the puzzle falling into place. 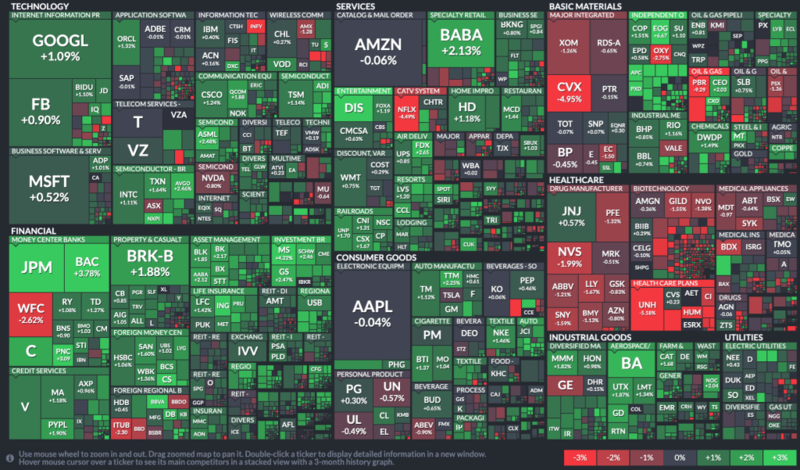 Pretty much all market sectors were green for the week, with healthcare being the notable exception. But aside from healthcare and a couple company-specific issues (like bad news at WFC and NFLX facing new competition in DIS) it was another good show by bulls. This 1-week FinViz heatmap does a good job showing you what I mean. So while I’ll be on guard if we see more downside follow through in XLV next week (especially if it spreads to the rest of the market), I think the balance of evidence still weighs bullish. 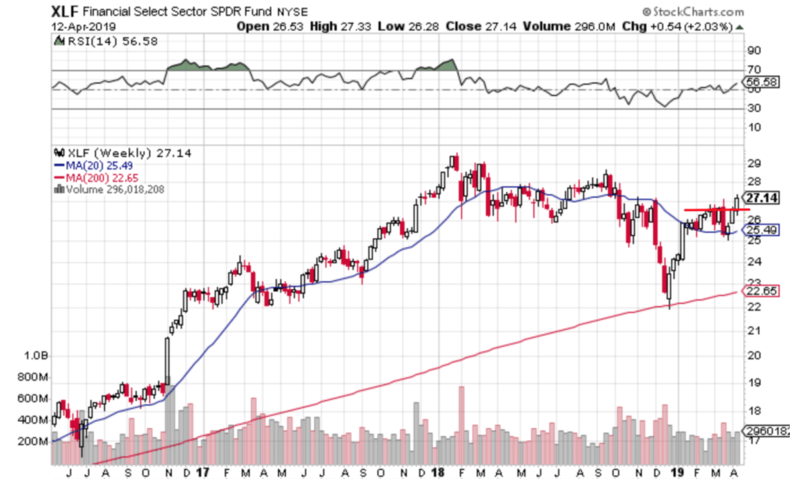 Of course, earnings season could change that and how you trade earnings is a personal matter that you’ll need to decide for yourself. 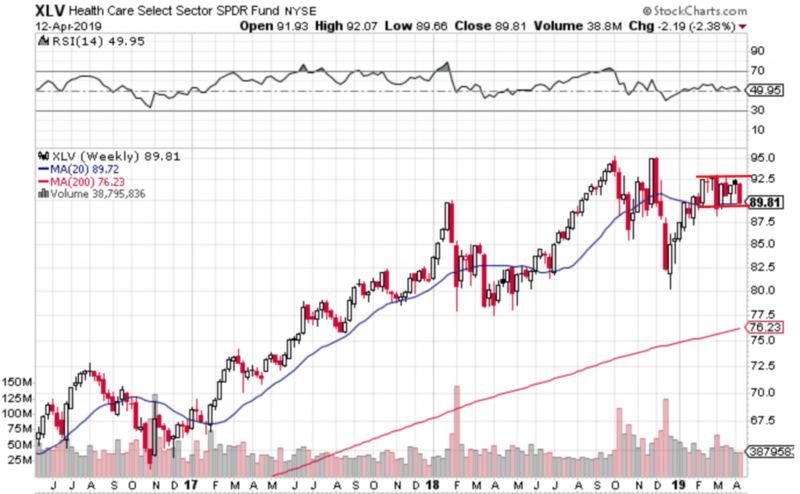 But with everything from tech and consumer staple stocks to emerging markets and European indexes moving higher, it’s hard for me not to be invested. Again, that could change with this latest crop of incoming quarterly reports. 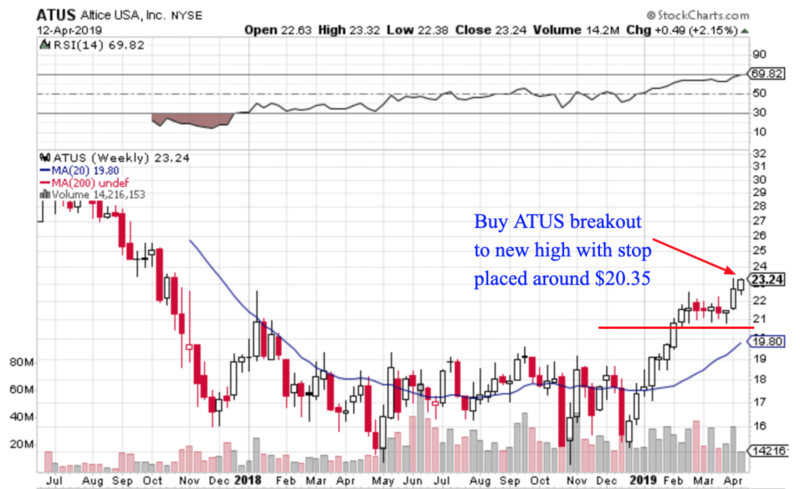 Never mind ATUS is already up over 10% since I first bought it. Because the chart still looks good to me and I think a fresh entry signal is always worth paying attention to. After all, the stock is still well below its post-IPO highs, which could serve as a price target. On the other hand, I also like stocks at new all–time highs. 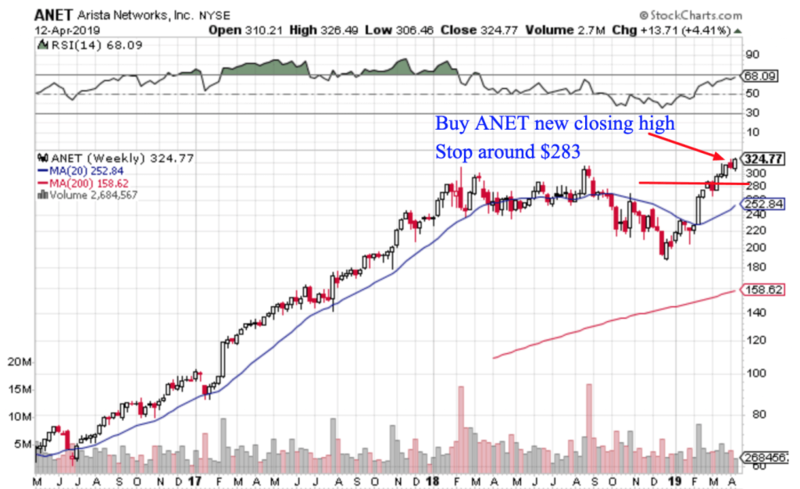 And after a lengthy sideways period, Arista Networks (ANET) is finally starting to look interesting again. 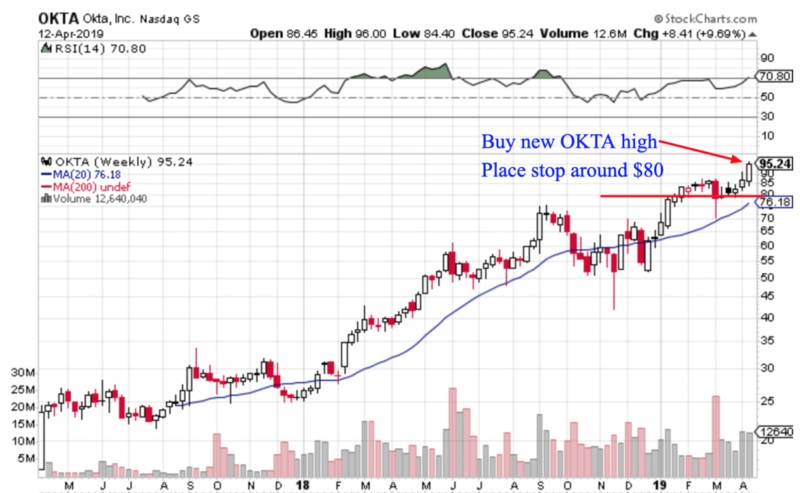 Not only has the stock has just recently hit a new weekly closing high but, considering how well it’s been able to trend in the past, I’m willing to take this signal seriously! But again, with all these ideas please do double-check the earnings dates. And I think as long as you carefully manage risk with stop losses and position sizing, it can be worth taking a swing. Because many charts can keep going up much longer than you might think rational. 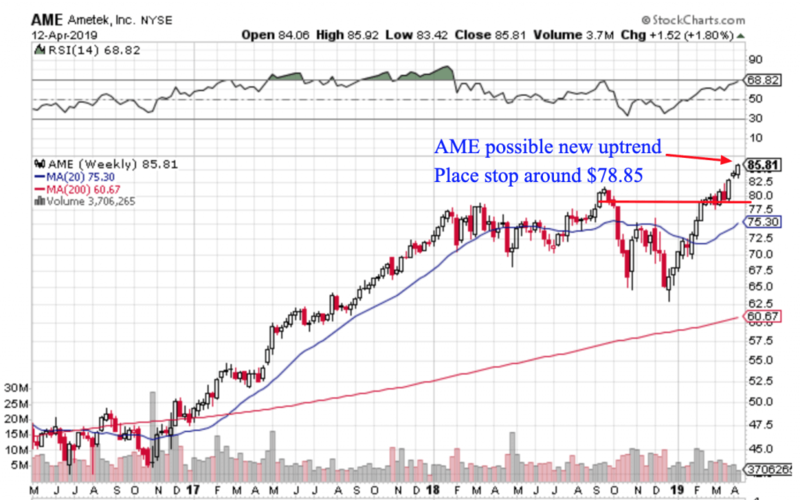 This cloud enterprise stock has had no shortage of momentum. And since it reported earnings March 7th there’s still a bit of runway before the next report. So with any luck we could see more upside here too, as software stocks continue their sector strength.